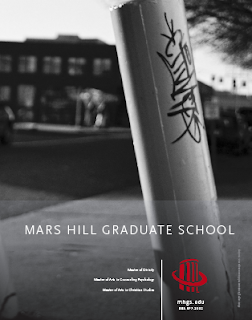 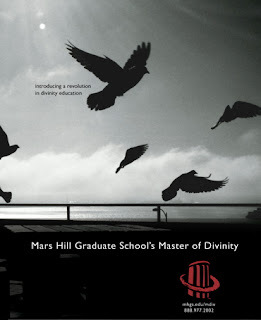 Mars Hill Graduate School was looking to launch its first national advertising campaign using six ads on the back cover of a bi-monthly magazine (RELEVANT). 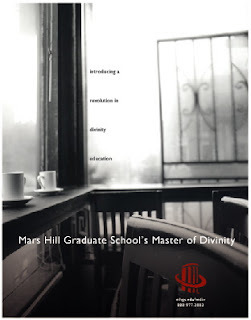 They wanted to convey the sense that their Master of Divinity (a traditional degree for pastors) was anything but traditional. 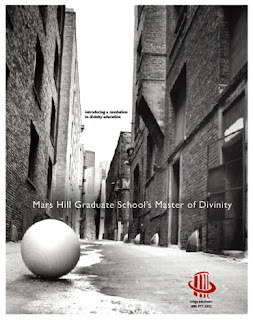 The ads needed to be spiritual, urban, mysterious, and connect to Seattle in subtle ways. 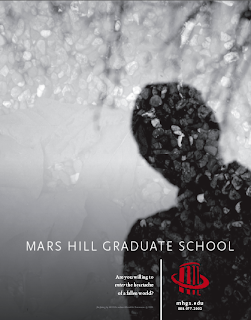 I used photography from previous an current students to tap into the school's DIY ethos.